DONETSK, November 3. /TASS/. The elections of the heads and parliament members of the self-proclaimed Donetsk and Luhansk People’s Republics (DPR and LPR) pave the way for their dialogue with international institutions, member of the international observer team, European Parliament member from Italy Fabrizio Bertot told the Novorossia press center on Monday. He said he has seen people who were ready to vote and proud of that. The voting system was absolutely legitimate and complied with democracy norms. Everything passed according to international standards, the politician said. According to him, international institutions, especially in Europe from now on will have an open space for dialogue with the DPR and LPR governments. The political weight of these elections cannot be ignored, he added. Bertot said that the east Ukraine elections could also be a starting point for the launch of the two republic’s dialogue with Kiev. 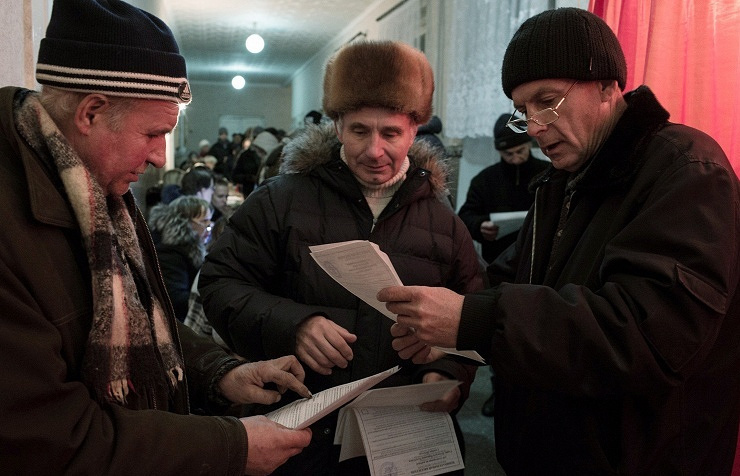 On Sunday, the DPR and LPR republics held the first elections of its heads and deputies of their People’s Councils. Representatives of the United States, Bulgaria, Serbia, Hungary, Slovakia and other countries came to monitor the elections as international observers. 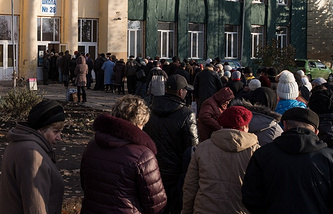 They admitted after the voting day that the elections were held without major violations and in full compliance with the European legislative practice.